Obviously Twilight is a true story. 1. This "teen non-fiction" section, which included such crucial historical tales as Twilight and Twilight 2. 2. And this "teen fiction" section, which actually seems pretty accurate. 3. 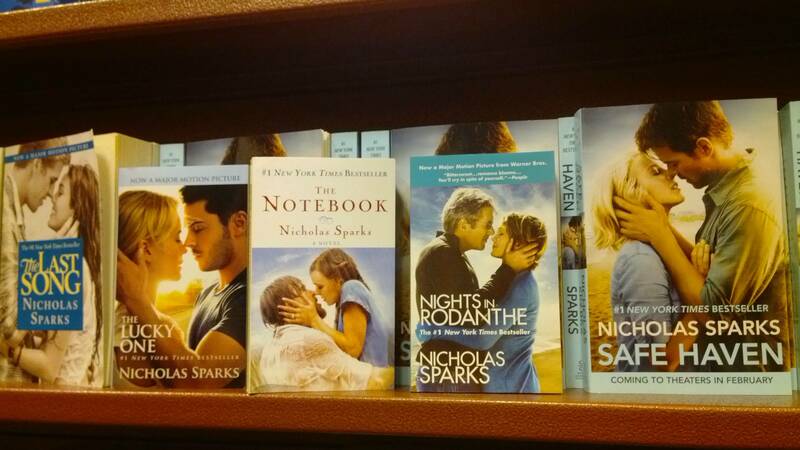 Every Nicholas Sparks cover, a study in face-grabbing. 4. 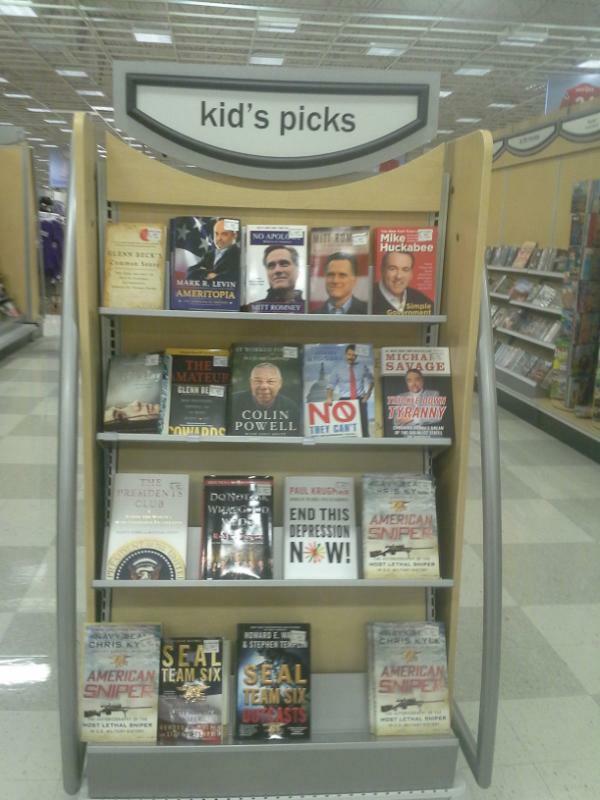 The tragic placement of these two books together. 5. When Sylvia Plath was placed next to fellow esteemed poet Snooki. 6. This "religion and spirituality" section, which is a scary proposition. 7. This slightly awkward book spine design. 8. The placement of this sale sticker, which probably scared the crap out of poor Fido. 9. 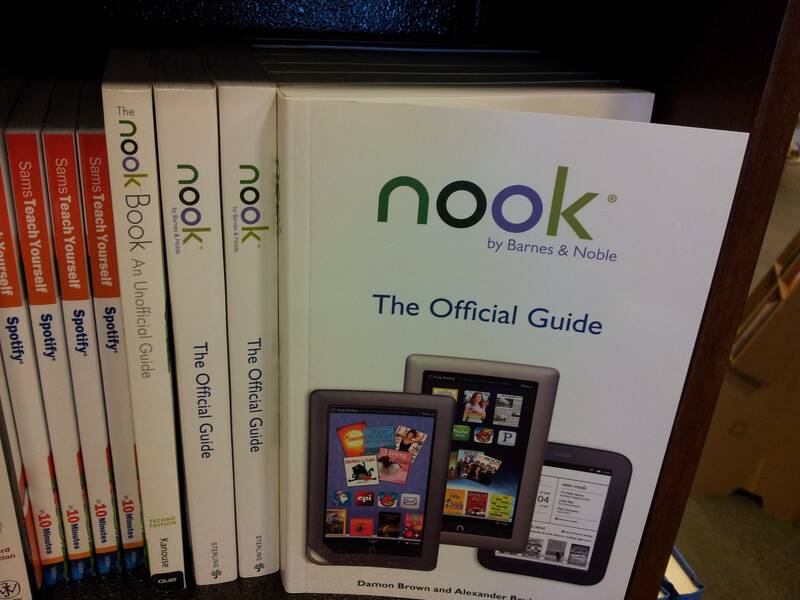 This book, a guide to your Nook. Oh, the irony. 10. This post-Fifty Shades recommendation, which makes sense. Both filled with exclamations of "Oh, God!" 11. This bizarre paper accident. How does this even happen? 12. This placement of Dungeons & Dragons for Dummies, which is probably offensive enough to cause a mass boycott of Barnes & Noble by role players. 13. The unfortunate placement of this discount sticker. 15. 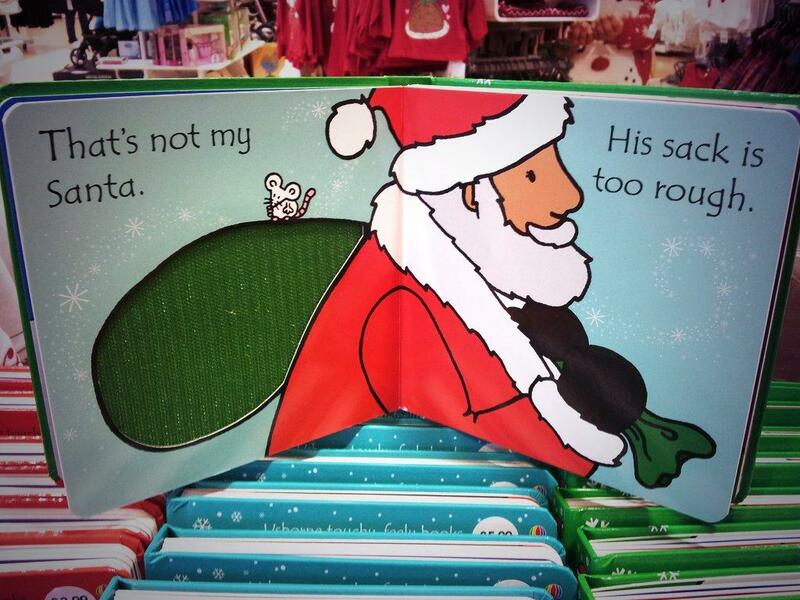 The page of this children's book, which definitely can't be misconstrued. 17. This Hardy Boys book, which starts on page five. The injustice. 18. The odd placement of these two artist biographies. 19. And the placement of this sticker, which might turn this into a very interesting bucket list book.